I've been meaning to write about TAAG (Teignmouth Arts Action Group) for a while now. TAAG is based in the old Swansons garage in Northumberland Place and puts on exhibitions and workshops in the visual and performing arts for the people of Teignmouth. In April and May TIDE (Teignmouth in Diversity Engagement), the lottery-assisted Cultural Diversity Project, put on its first exhibition - the First Wave - at the centre. This included a fascinating AV presentation about the life of Yuri Gagarin on the 50th anniversary of the first human flight in space. I can only vaguely remember his flight but I've always admired Gagarin - an admiration which has grown over the years as I understood what a huge step into the unknown this first space trip was. 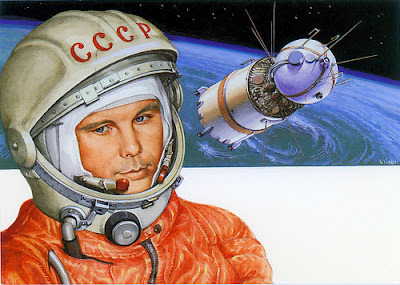 I also learned a couple of interesting new things from the AV presentation: The original Soviet capsules were spherical in shape because they had limited thruster capabilities and needed to be equally protected from heat on all sides; and Gagarin died on a routine MiG training flight in 1968 (in mysterious circumstances - according to some conspiracy theorists). The sad thing is that he could never go back to space as he was too much of a celebrity and good PR for the Soviets to allow it. The exhibition also had a continuous showing of First Orbit - a film created of what Gagarin first witnessed fifty years ago. 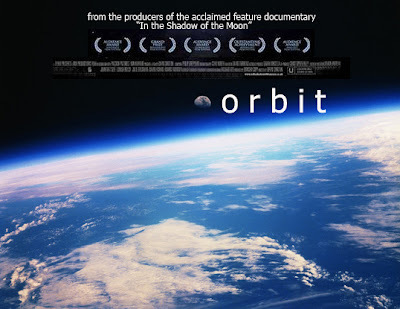 By matching the orbital path of the Space Station to that of his spaceship and filming the same views of the Earth, astronaut Paolo Nespoli, and film maker Christopher Riley, captured a high definition view of the Earth as Gagarin would have seen it. This footage has been further enhanced by matching it with recordings of Gagarin from the original mission audio to recreate his first flight experience. The film has its own website and can be viewed in its entirety on YouTube. A short film about the making of First Orbit is also available on YouTube. 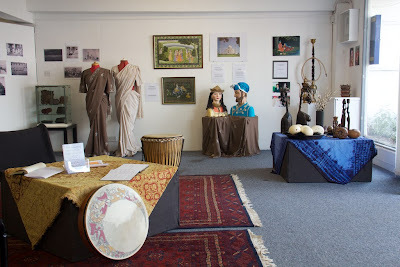 The same exhibition included plenty of other stuff including a display of images, paintings and crafts from Africa and Asia, and a digital photo display by Helen Cooper - ‘Footsteps: Journeys Home’ - which presented the contrasting environments as the artist moved from Australia to Teignmouth. TAAG exhibitions are nothing if not eclectic. At the end of May there was an exhibition by three local artists following completion of their fine art degrees at Plymouth University. 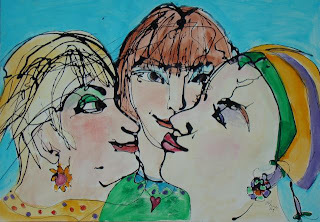 One of these was Petra Lewin, who I happened to attend a short printmaking course with at Double Elephant in Exeter. 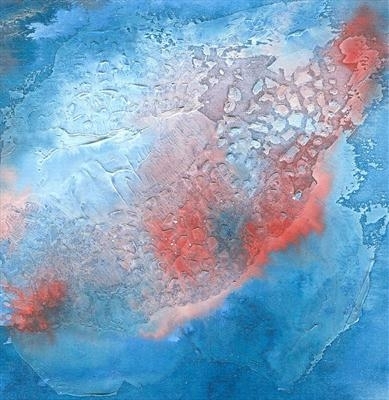 Petra's abstracts combine texture and colour to produce intriguing images. 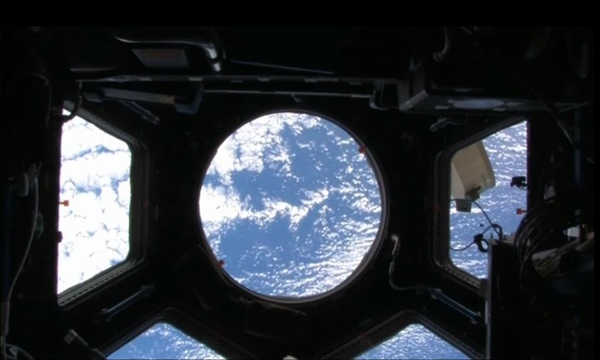 This picture seems to echo the views of earth from Gargarin's spaceship. 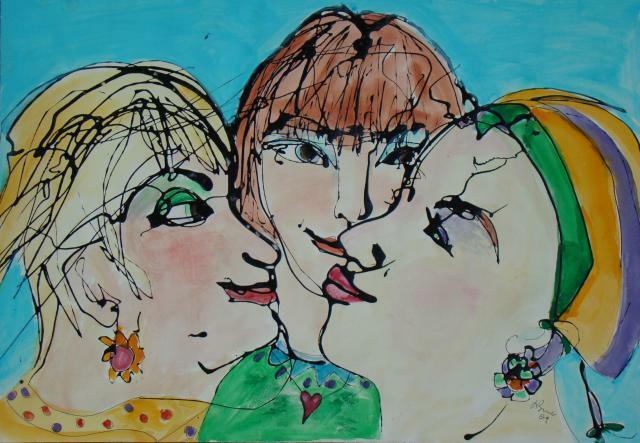 More of Petra's work can be seen on her website. 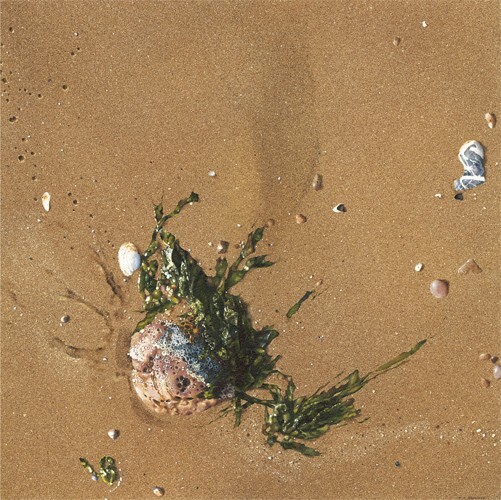 The TIDE Second Wave exhibition took place at the beginning of June. A significant part was an exhibition of images, poetry and music relating to Little Poland, the former Polish settlement camp at Ilford Park, Stover. This was a fascinating look at a world which I suspect most people do not even know existed. 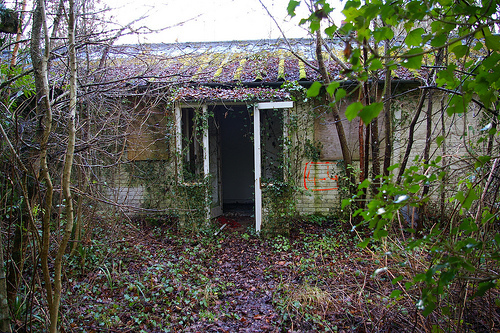 A second world war army hospital was originally built there to take in the casualties from the D-Day landings. 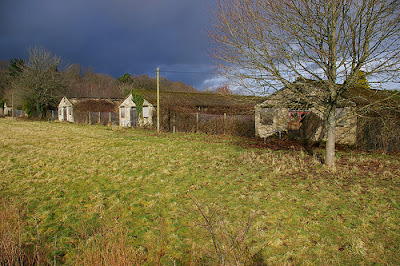 After the war the empty buildings were put to use as one of a number of Polish resettlement camps. 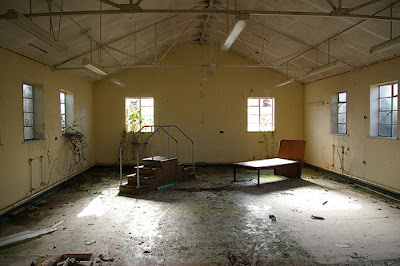 A strong community grew which had its own church, school, snooker club, library, cinema and theatre. In 2009 the demolition of the site started for redevelopment. The exhibition documented something of the lives of the people in this home-from-home community, and the delapidated buildings and their contents prior to demolition. 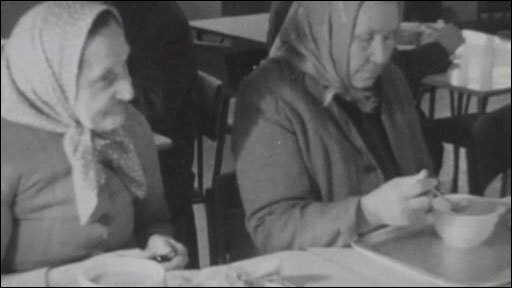 Clips from a BBC programme about Little Poland - "A Place Called Home" - can be seen here. Great pictures, full of life. Also on show were some highly detailed paintings of shore life by John Skinner. John's pictures are easily mistaken for photographs but when you examine them close up you can see the technique and work involved in producing these images. 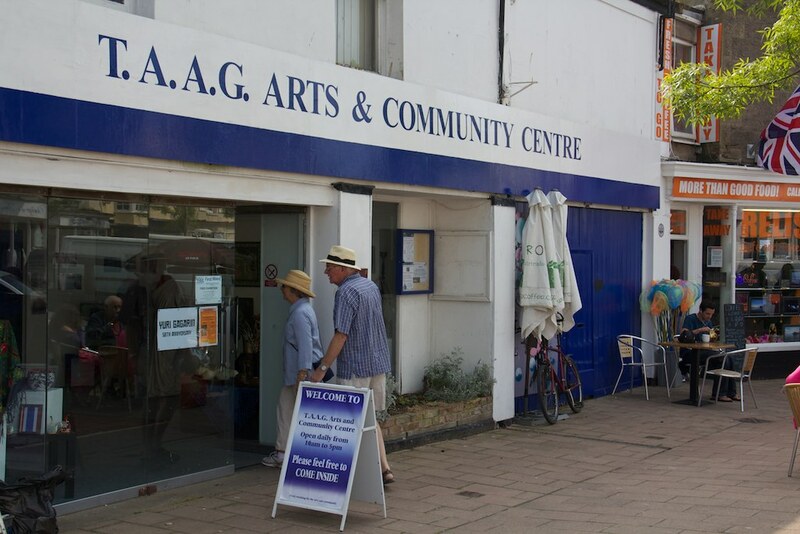 TAAG has filled a gap in the cultural life of Teignmouth. I'm looking forward to its future offerings and hoping that it can survive the cuts in arts programmes which are being inflicted across the country. 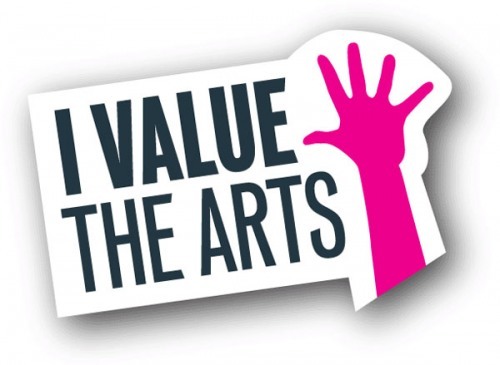 Why not help by pledging support to the 'I Value the Arts' campaign? 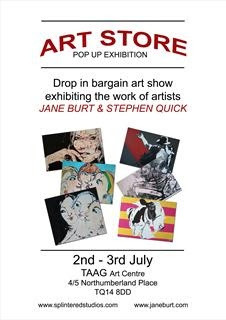 See also Marta Killey at TAAG.